Located outside Stroud in Gloucestershire, and not too far from J13 of the M5 is this lovely example of the Autosleeper Windsor model. 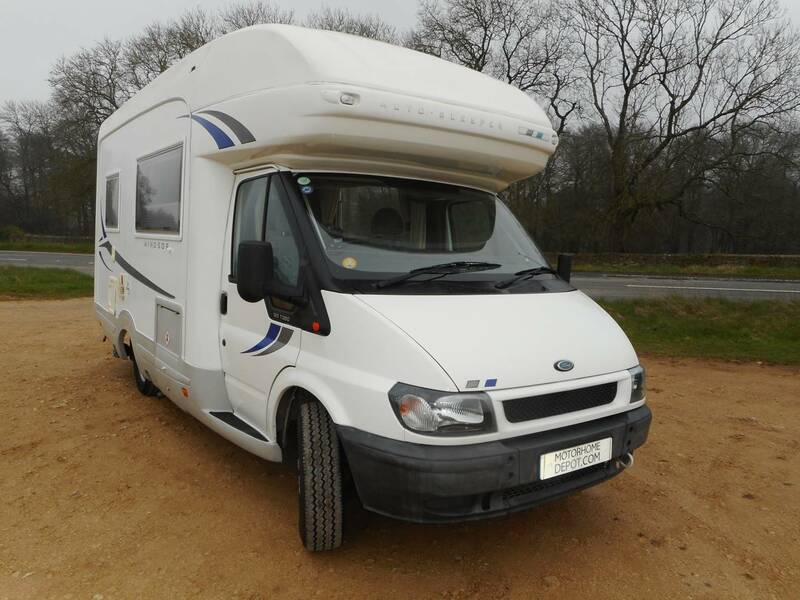 Based on a 2.4L Ford Transit this Windsor has the rare advantage of automatic transmission. 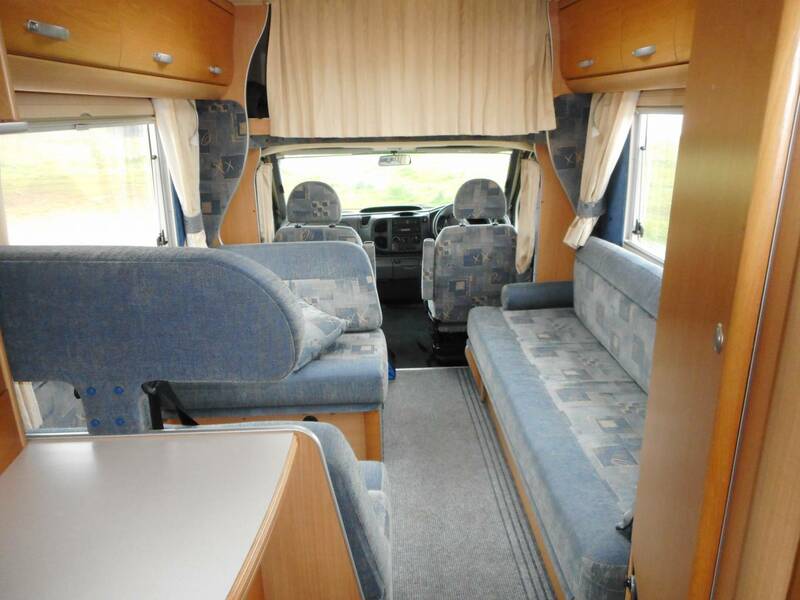 Offering four or five berths and with four travelling seatbelts it is the perfect touring home for a couple or young family. 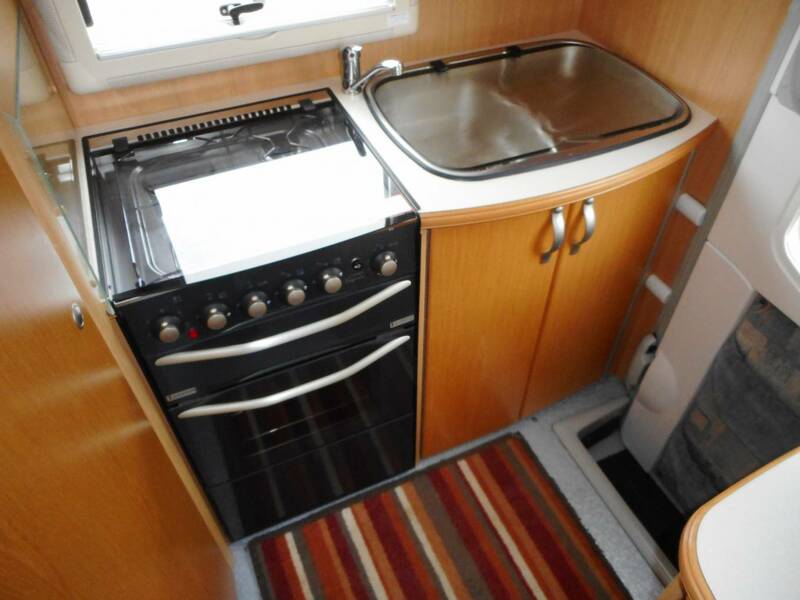 The rear kitchen has a full cooker, stainless-steel sink and drainer and a triple supply fridge. Preparation space is increased with the glass hinged lids over the hobs and the sink, and there is plenty of storage in eye level lockers, cupboards and drawers. Adjacent is the light and airy washroom offering a sink, lavatory, screened shower and storage. 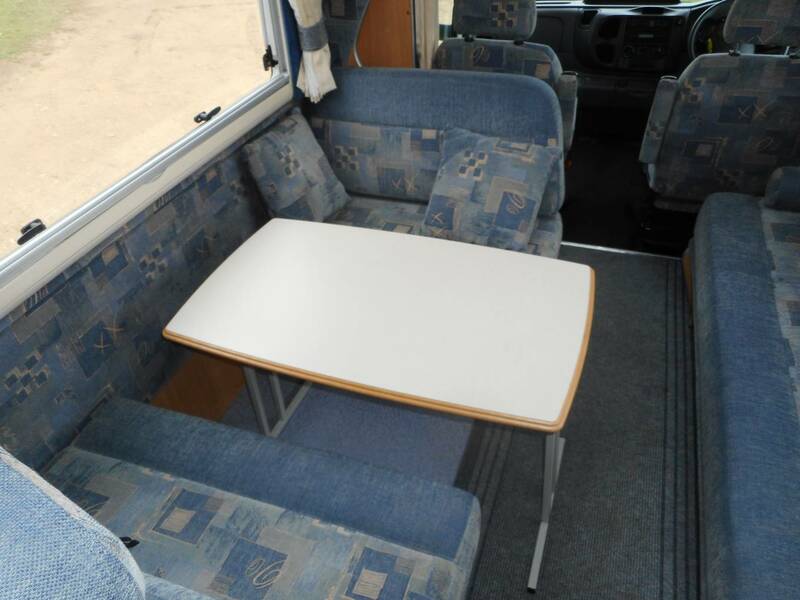 Mid home is the dinette area which has two forward facing three-point seatbelts. 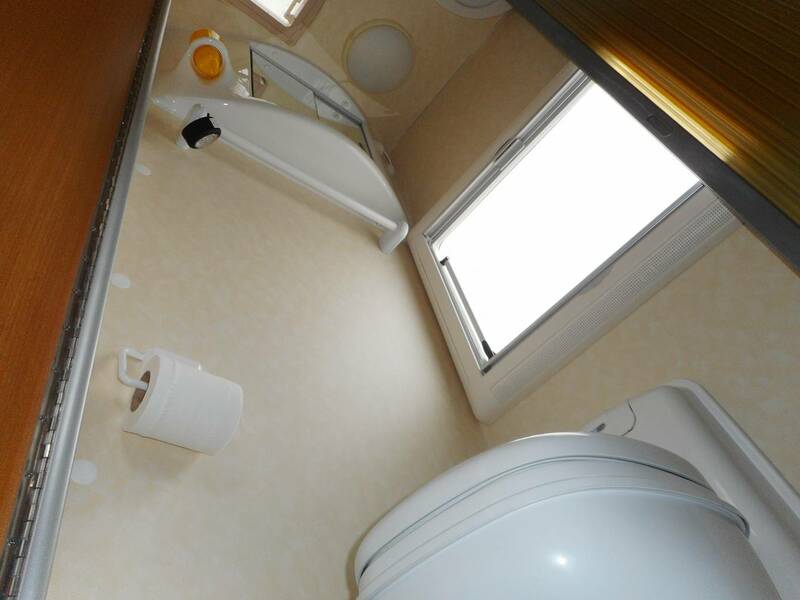 This area converts into a large single or a double berth for two smaller people. This forms a nice social area with dining or gaming on the retractable table. Opposite is the bench sofa which provides a further good size single bed. 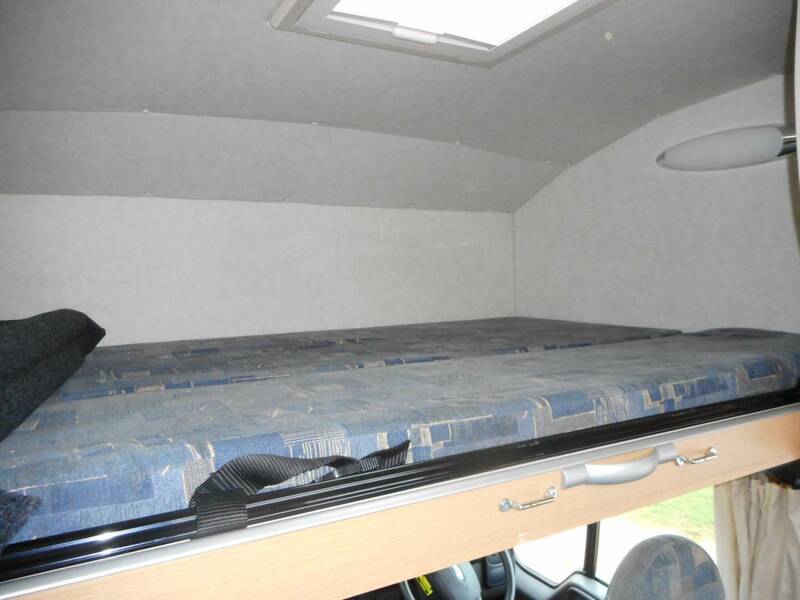 The over cab bed provides a ready made double. 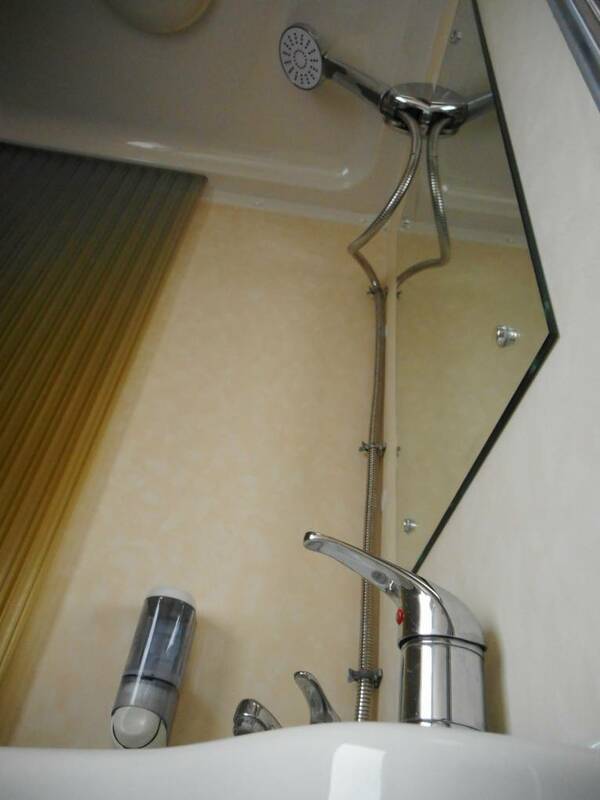 The home is kept snug by the efficient Eberspacher diesel heating system and hot water is provided by the gas and electric Truma boiler, allowing warmth and hot water when off grid. In addition to the automatic transmission, for the driver is an FM AM CD entertainment system, reversing camera, cab aircon, and electric windows and mirrors. The home comes with a recently replaced leisure battery, a gas bottle, solar panel, removable carpets, silver screen, and a double bike rack. 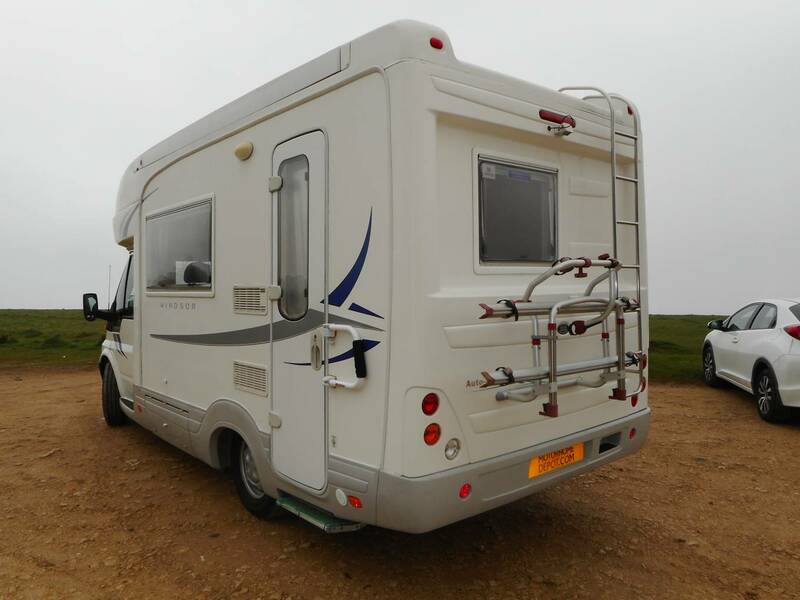 There is also an Airbeam blow up awning and a brand-new motorhome cover available by separate negotiation. The Windsor is 6.3m long and weighs 3500kg so can be driven on a regular car licence. It has an extensive service history and the MoT runs until late February 2020. 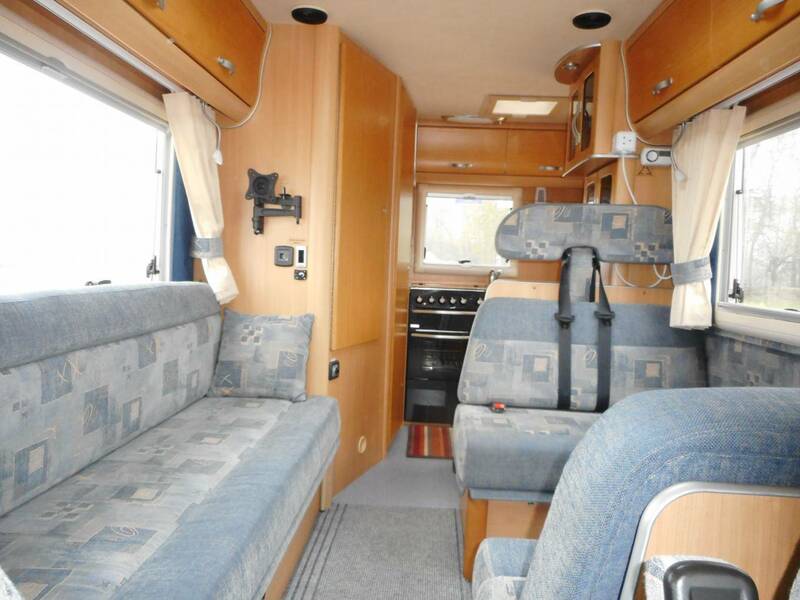 This is a lovely, very low mileage motorhome that is ready for new adventures. Please call Tonia or Martin for the full photo album and video tour.